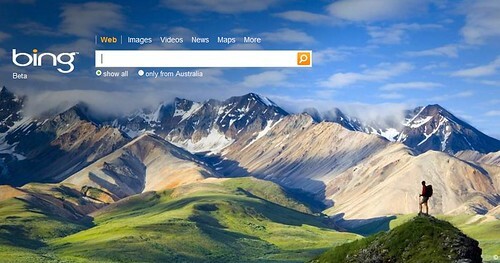 So a couple of websites have been flinging around the fact that Bing is actually an acronym for “But Its Not Google”. Well that much I’m sure of but what can Bing offer the web world that is different from its previous incarnations (MSN, Live and Kumo)? First of all Bing takes a page out of Wolfram Alpha’s book by calling itself not a search engine but a “decision engine”. One thing I did notice while doing some research is that Wikipedia is not given nearly as much priority in Bing as it is in Google. 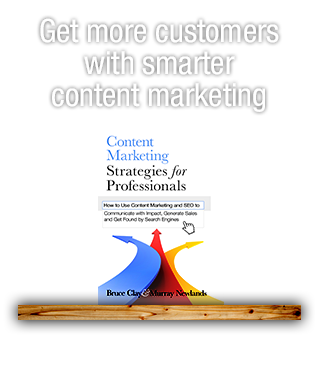 This has an impact for SEO because suddenly we can actually rank our clients in top place for informational based searches (in Bing at least) without those pesky Wikipedia entries. Some of the features have not yet been rolled out in Australia yet. 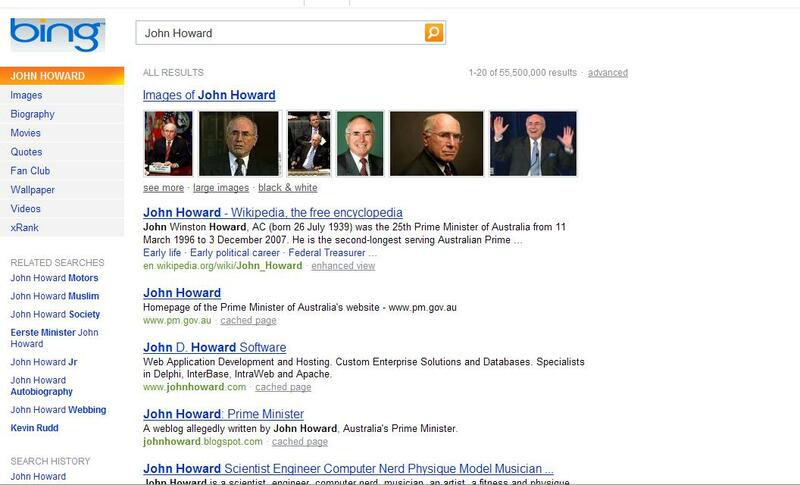 Below is an example of a Bing search made from Australia for “John Howard”. Note the category menu on the left hand navigation bar, it will be interesting to see how long before all of Bing’s functionality is rolled out worldwide. 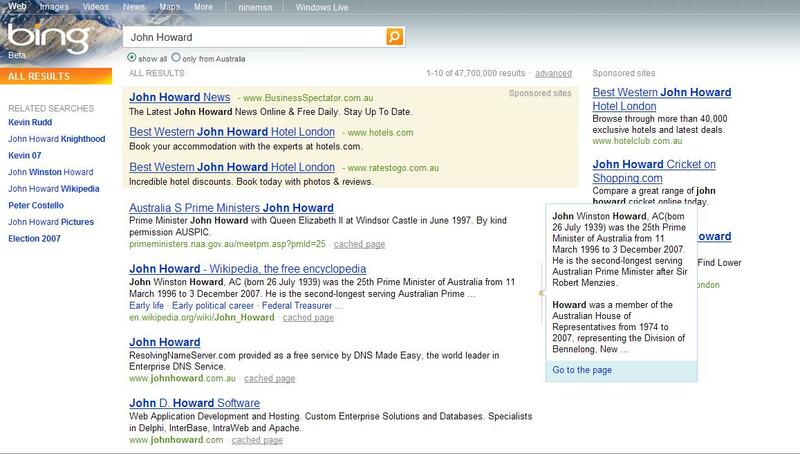 Another interesting fact that comes out of the launch of Bing is that they are using Yellow pages to render their maps and local listings, could this be the boost that Yellow Pages has needed for the past few years ? You can find out how to do all of these functions at this Windows Live Search (now Bing) Tricks blog post. In terms of design, I like it, I like it alot. It does borrow pretty significantly from both Live search and Google but the whole minimalistic design with the constantly changing background picture creates a simple yet enjoyable and dynamic interface. 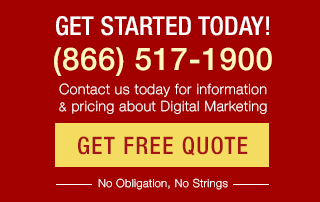 •	All-Flash or Mostly-Flash sites seem to rank better than in Google. 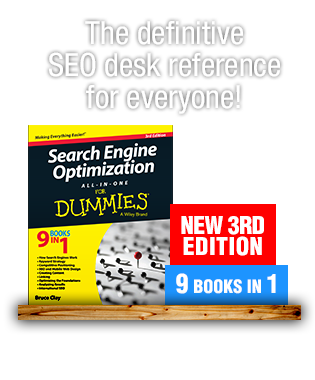 •	Displaying “Search History” underneath “Related Searches” so that you can easily return to a search that may have been helpful to you before. 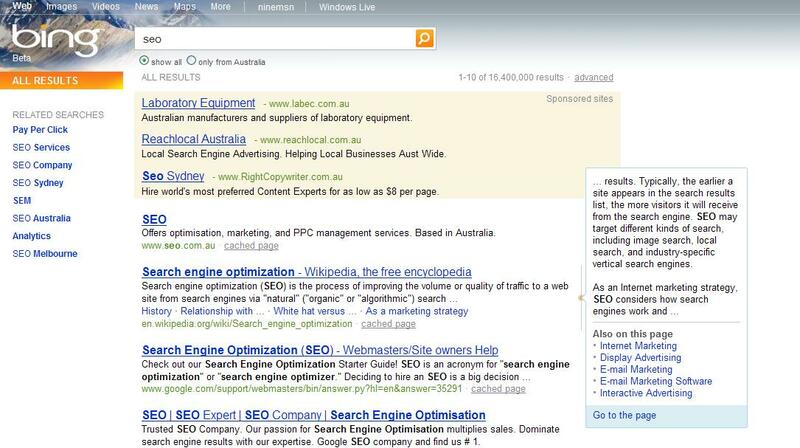 What is clear that so far is that Bing is much better than its previous evolution, namely Live search, is it good enough to dethrone Google? No, however it might just have a chance of taking some of Google and in particular Yahoo’s market share. In addition it puts Microsoft back on the right track in terms of the web as a whole.